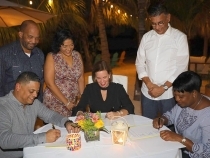 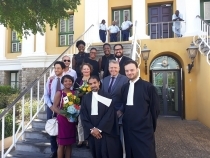 WILLEMSTAD - Under the supervising eyes of family and colleagues Tjarda Tazelaar and Vin Soeltaansingh were sworn in at the Courthouse of Curaçao on Tuesday January 29. 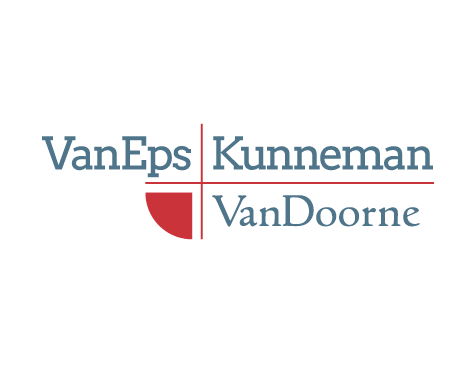 Both are working in the Corporate and Banking section at the Curaçao office branch of VanEps Kunneman VanDoorne. 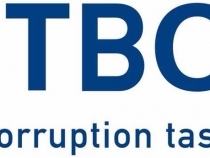 WILLEMSTD - Vandaag heeft de rechtbank wederom een mensenhandel zaak op zitting behandeld. 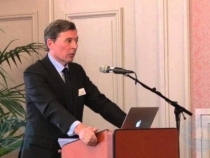 Na de behandeling van het onderzoek “FREEDOM” op 11 januari jl, ging het ditmaal om het onderzoek VENUS. 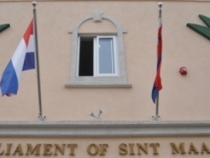 WILLEMSTAD - Vandaag heeft de rechtbank in Willemstad uitspraak gedaan in het kort geding dat Gerrit Schotte had aangespannen. 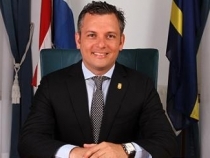 Het beroep van Schotte tegen het besluit van de Statenvoorzitter is ongegrond verklaard. 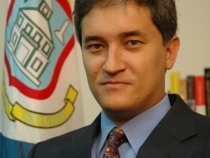 PHILIPSBURG--The Anti-Corruption Task Force TBO on Tuesday conducted what is believed to be several searches of buildings associated with United Democrats (UD) Member of Parliament (MP) Theo Heyliger and arrested one person in relation to the “Larimar” investigation. 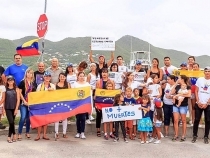 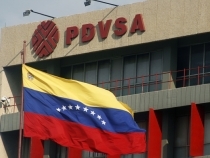 CARACAS – Venezuelan opposition leader and self-proclaimed president Juan Guaido ordered congress on Monday to appoint new boards of directors to state oil company PDVSA and U.S. subsidiary Citgo, shortly before the United States imposed sanctions on the firm. 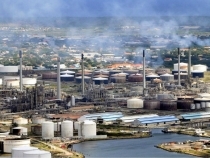 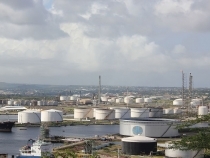 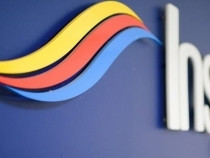 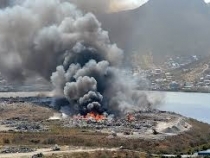 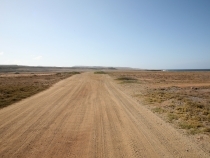 WILLEMSTAD - The selection of a new, short-term operator for Curacao’s Isla refinery has been put on hold due to an investigation of corruption allegations in the tendering process, officials said last week. 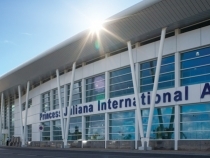 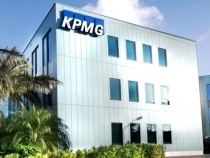 WILLEMSTAD - The judge in Curaçao did not approve the InselAir creditors' agreement. 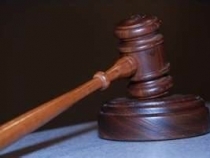 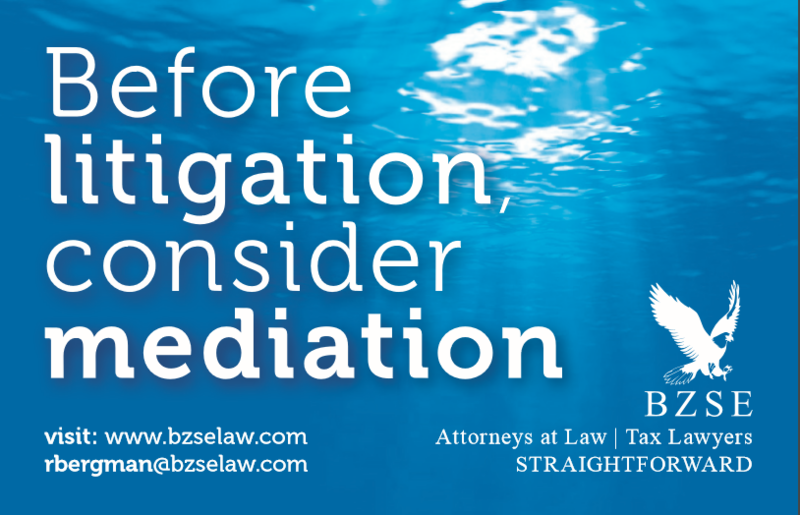 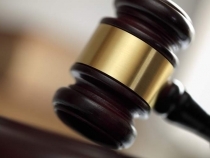 the reason for this is that according to the judge its fulfilment is not sufficiently assured,.